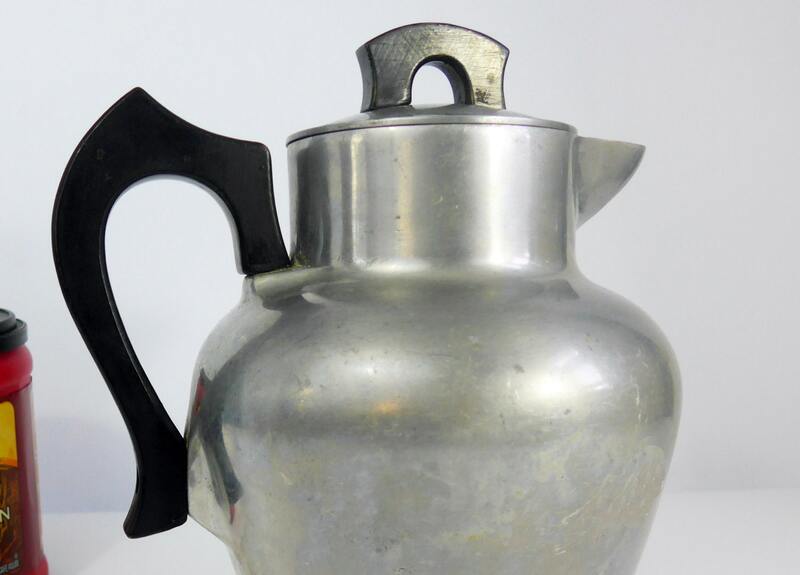 Large aluminum coffee pot by Club Cookware that has a great Art Deco style shape. 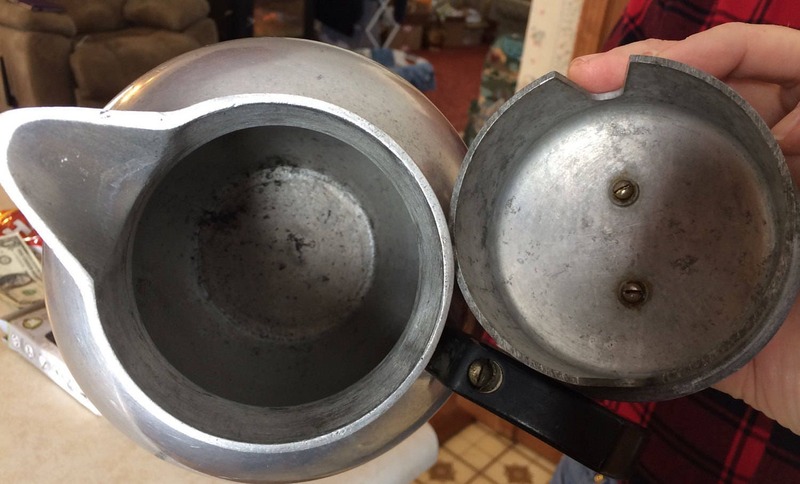 The pitcher or pot itself is aluminum but the handle and knob on the lid are wooden. 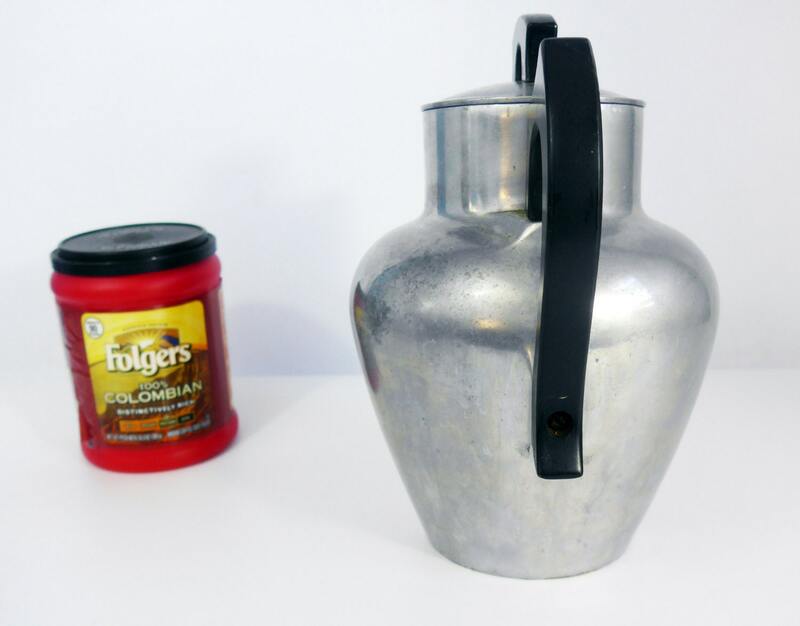 The Club logo can be seen on the bottom of this pitcher or coffee pot. 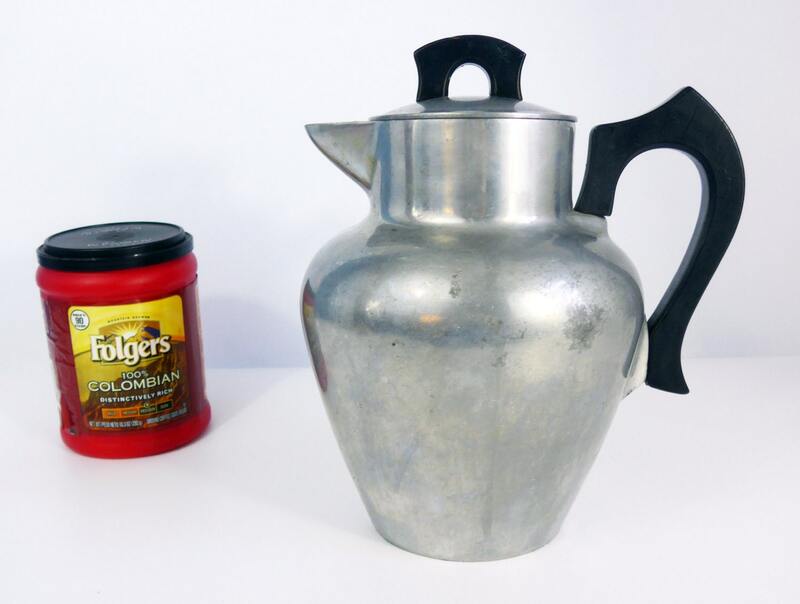 Perfect as water pitcher and/ or display item for a retro kitchen. A rather substancial item that weighs nearly 3 1/2 lbs. before packaging for shipment. Measures 9.5" tall to the top of the wooden knob on the lid. Widest part of the pot has approx. 6" diameter. It measures 8" across from the edge to the end of the handle. 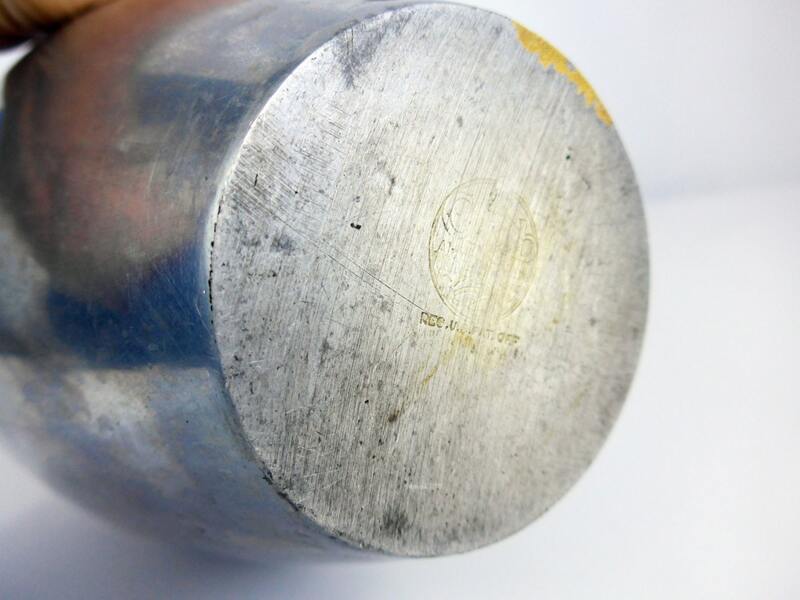 This heavy cast aluminum piece was manufactured by Club Aluminum Company that started in the early 1900’s as an aluminum kitchen utensil company. Their products were sold door to door by salesmen. Club Aluminum cookware was on the shelves of many kitchens throughout the United States. In nice vintage condition with no dings or dents. Wear and patina on the aluminum and wood and some interior pitting as would be expected an item that is circa 1920s.